I grew up surrounded by the publishing business. After my father’s early career years in radio, television and working for the local daily newspaper, he began publishing his own monthly shopper newspaper in Elizabethtown, KY which circulated continuously for over 30 years. My favorite memories were riding around with him to visit his advertisers as they were all one big extended family to us. As I got older and after spending enough time hanging out in his design/layout office, he taught me ad design layout… the old-fashioned way as he was somewhat of a “purist”. No computers or desktop publishing… it was all border tape, polaroids, blue lines, matte books of artwork, hot wax, plenty of typeset and manual Royal typewriters. Given my childhood in the family publishing business, I’ve always admired the work of Naperville magazine publisher Leah Rippe in her vision and determination over the years to build and grow a true Naperville-focused monthly magazine. The magazine’s mantra and slogan is “Your City. Your Magazine” and they are true to their word. 10) DESIGN worthy of a higher-end lifestyle magazine publication. 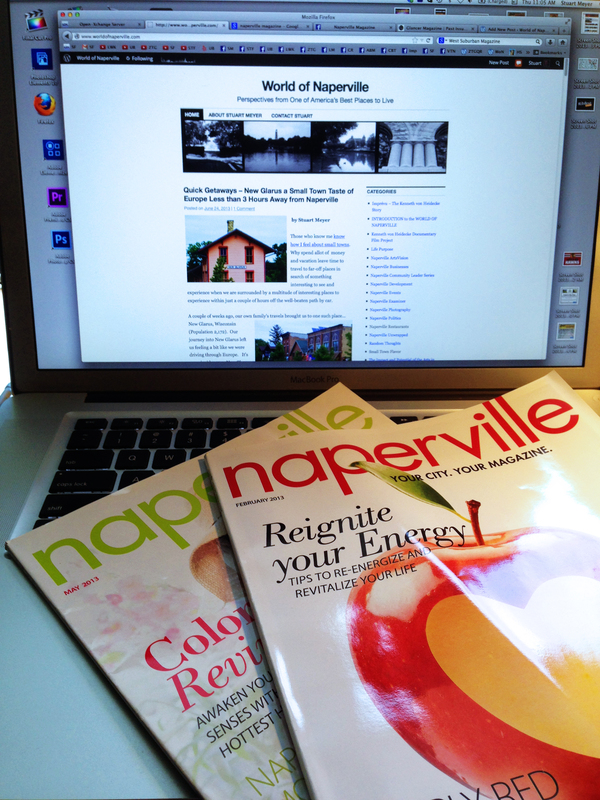 9) Lots of LOCAL CONTRIBUTORS sharing both their talents and Naperville perspectives. 8) Seemingly endless coverage of the LOCAL CHARITABLE EVENTS AND SOCIAL SCENE IN THE NAPERSCENE SECTION. Our favorite challenge is to search for that rare event where our friend Ray Kinney isn’t pictured. 7) Lots and lots of GREAT PHOTOGRAPHY. 6) I learn more about all the INTERESTING PEOPLE WHO LIVE HERE IN NAPERVILLE. 5) Publishing depends on advertising support and I admire the ways in which the magazine blends in BUSINESS STORYTELLING as part of the content. 4) Great FEATURE STORIES and commitment to COMMUNITY NEWS. 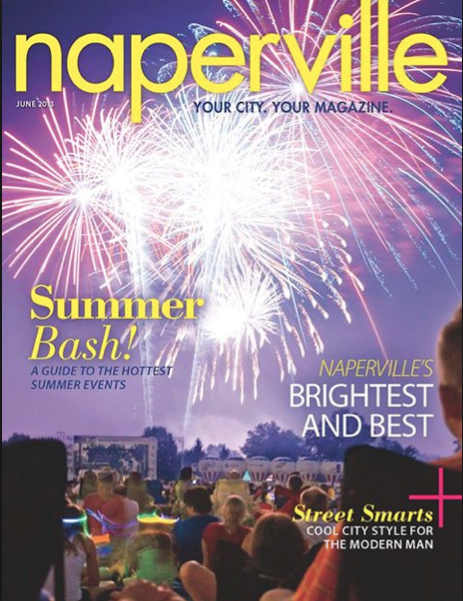 3) The magazine is truly presented from a true NAPERVILLE PERSPECTIVE. 2) From restaurant reviews, chef profiles to the Dining Out section, there’s always a strong FOOD FOCUS. 1) Come on… it’s ALL ABOUT NAPERVILLE! Thanks Leah! This entry was posted in Naperville Businesses, Naperville Community Leader Series, Naperville Events, Naperville Photography, Naperville Unwrapped, Random Thoughts and tagged Leah Rippe, Naperville, Naperville magazine, Social Frequency Media Communications, Stuart Meyer, World of Naperville. Bookmark the permalink. I’m, going to contact Naperville Magazine and see if they would like to do an article about my new wine store here in Naperville. I’m, glad I started my business in such a community oriented town. Thank you for all the details on the magazine. You’re quite welcome. Best for luck in your new business! You’ve chosen a wonderful community.